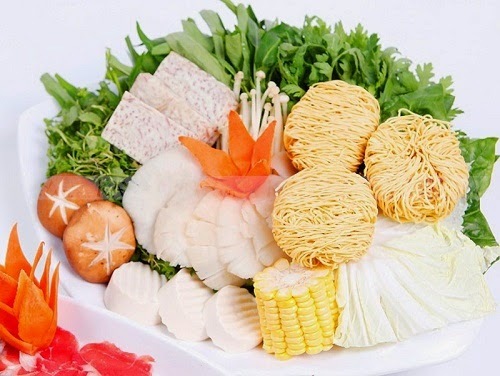 Have you ever eaten vegetarian hot pot? It is one of Best Vietnamese Food ever in Vietnam. Vegetarian with the variable of fresh mushroom, vegetable, tofu will bring an attractive tasty and high level of nutritious to the diners. It is perfect for eating in cold days, especially winter is coming to the town. The ingredients to make this Best Vietnamese Food are simple and easily buying, you do not need to fry too much or use any glutamate. They are some mushrooms, 2 pieces of tofu, 1 taro tuber, red beet, some white beet, some wheat, noodles, cabbage, vegetables, garlic, coconuts water and sugar. 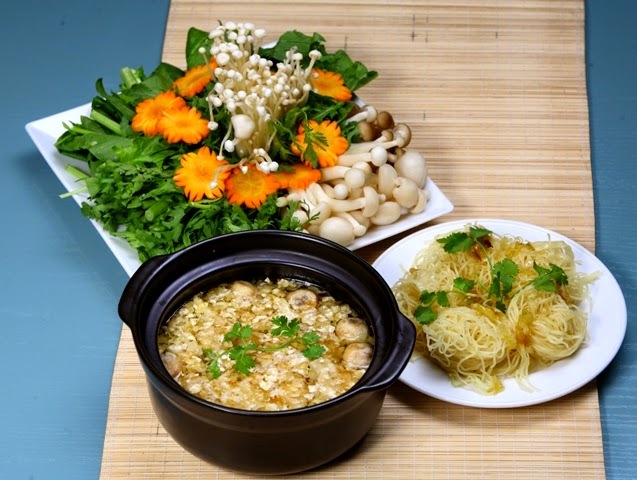 The more mushrooms are variable the more delicious of vegetarian hot pot. Therefore, you need to consider the type of mushrooms in your hot pot: chicken thighs mushrooms, needles mushrooms, abalone mushrooms. Moreover, this Best Vietnamese Food would be tastier if you pour some coconuts water into the broth. Boiled the oil and then fried the garlic until it turned to yellow. Then pour the coconuts water and waiting the water is boiled. After that, you need to add red beet, white beet, taro tuber into the pot and add the mushrooms and vegetables later. 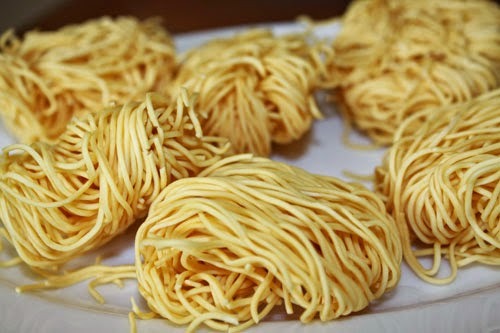 Now, you can enjoy the pot with the wheat and noodles. I strongly suggest you should use soy bean sauce with the pot. It would make the hot pot is more distinguish than the previous one. 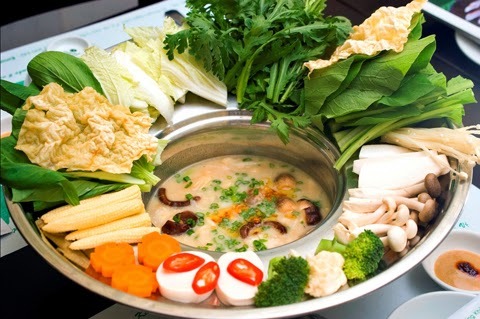 Ho Chi Minh citizens like eating hot pot, but this Best Vietnamese Food is well known as a hot pot either tasty or nutritious. So, come and enjoy this fantastic pot. Hope you have a happy trip and do not miss any stunning dish in our beautiful country.